We often tease my Mom about being the “Betty Crocker” of the family, she has a love of baking and cooking for her family and everything she makes is delicious. I’m glad that I have been able to learn from her and bring some of my favorite home cooked meals and desserts into my own household. 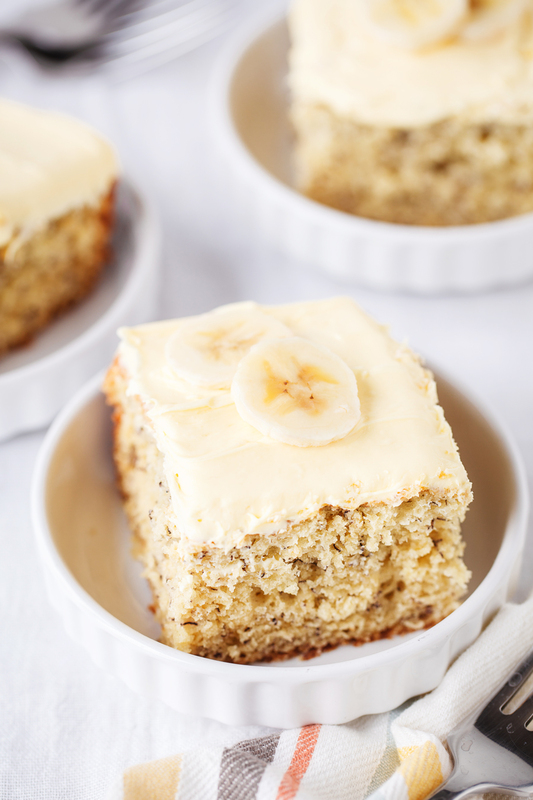 This cake recipe is truly the BEST homemade banana cake. 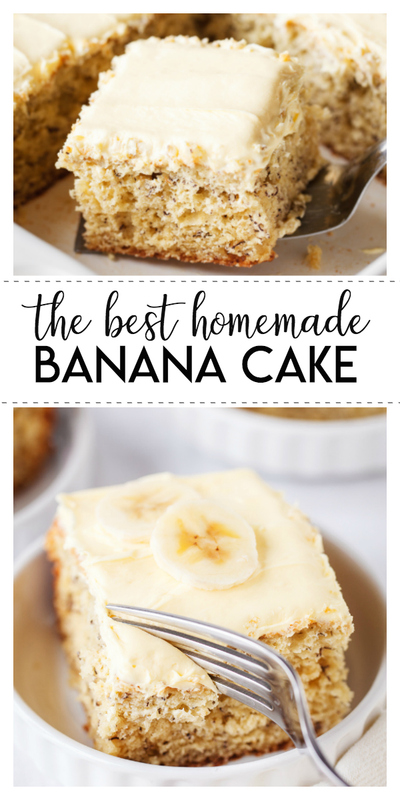 This homemade banana cake has been used for birthday parties, holidays and has even been requested for our friends and family’s weddings. 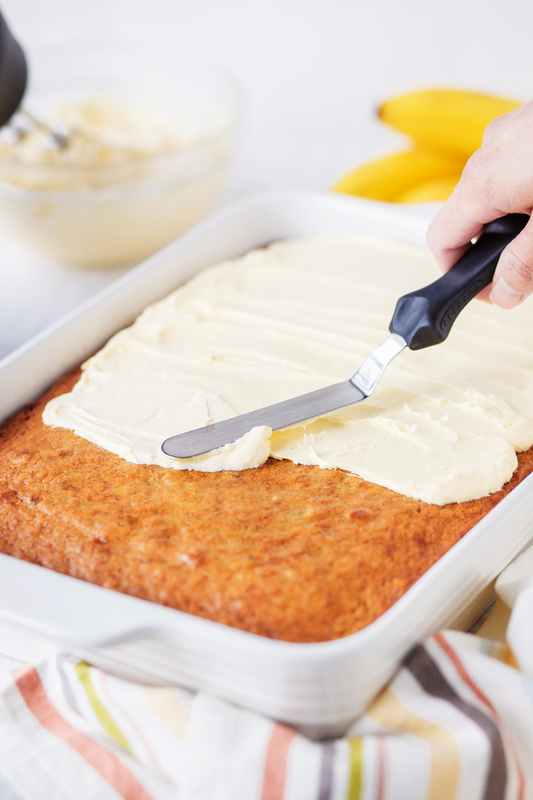 We typically layer out banana cake with a delicious cream cheese frosting but any type of frosting will work. Even a milk chocolate frosting would be delicious! 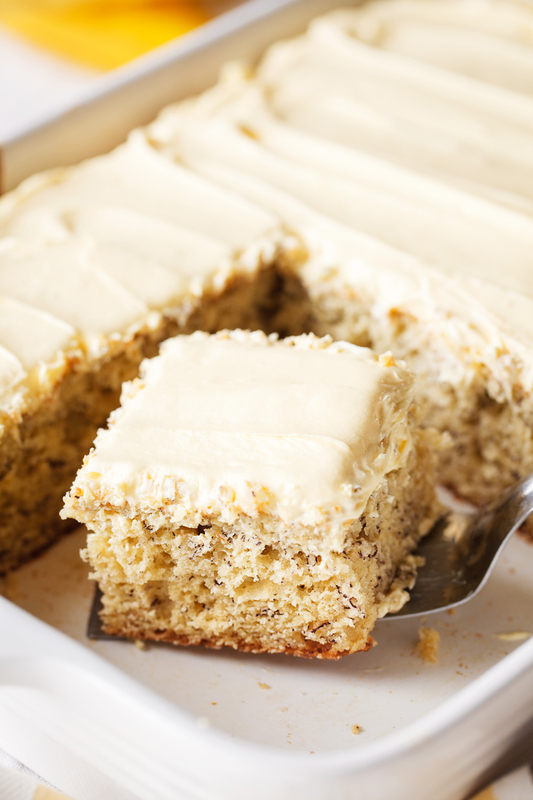 You can bake this recipe in either (2) 9-inch round cake pans or (1) 9x 13 inch baking pan. For weddings and fancier events we like to bake them in the round cake pans and stack them but for birthday parties and just because days the baking pan works great! 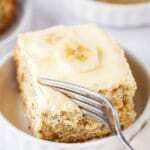 This homemade banana cake is moist, flavorful and relatively “light” in texture. 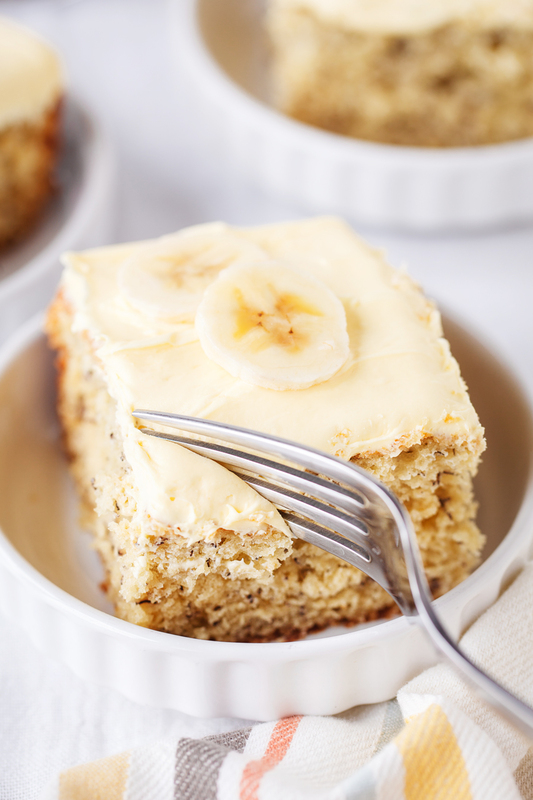 It’s a perfect way to use extra browning bananas that we always seem to have on our counter.